Lessons on WORLD WAR 1 "The Great War"
World War I (WWI) was a global war centred in Europe that began on 28 July 1914 and lasted until 11 November 1918. It was predominantly called the first World War. 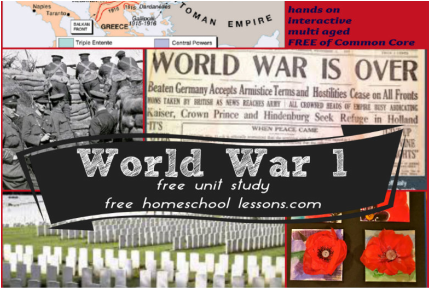 Find a huge collection of World War I homeschool resource links, including lessons, worksheets, downloads, and and multi media to help all types of learning styles enjoy history lessons. The majority of the links are free!! There are a few high quality resources that shouldn't be missed! We will share our reviews of these materials as we study World War 1 in a one room school house fashion. Included is our actual weekly unit study guide using online free resources teaching students grades 3 - 10th. *not all resources will be used for younger students. Militarism means that the army and military forces are given a high profile by the government. 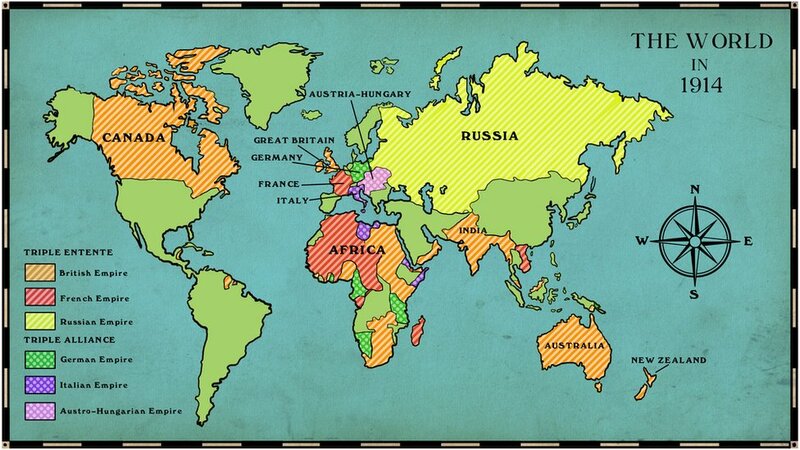 The growing European divide had led to an arms race between the main countries. The armies of both France and Germany had more than doubled between 1870 and 1914 and there was fierce competition between Britain and Germany for mastery of the seas. The British had introduced the 'Dreadnought', an effective battleship, in 1906. The Germans soon followed suit introducing their own battleships. The German, Von Schlieffen also drew up a plan of action that involved attacking France through Belgium if Russia made an attack on Germany. 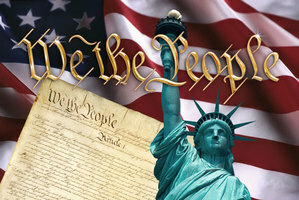 Nationalism means being a strong supporter of the rights and interests of one's country. The Congress of Vienna, held after Napoleon's exile to Elba, aimed to sort out problems in Europe. Delegates from Britain, Austria, Prussia and Russia (the winning allies) decided upon a new Europe that left both Germany and Italy as divided states. Strong nationalist elements led to the re-unification of Italy in 1861 and Germany in 1871. The settlement at the end of the Franco-Prussian war left France angry at the loss of Alsace-Lorraine to Germany and keen to regain their lost territory. Large areas of both Austria-Hungary and Serbia were home to differing nationalist groups, all of whom wanted freedom from the states in which they lived. World War I - Fighting on the Front WWI was different from previous wars because soldiers used efficient weapons like machine guns, artillery, tanks and air force. Military operations began in three major areas in Europe - the western front (France/Belgium), the eastern front (Russia) and the southern front (Serbia). Many of the deadliest battles occurred during WWI, including Ypres, Vimy Ridge, Somme and Gallipoli. Although thousands and thousands of soldiers died during these battles, they were all turning points for the Allied Forces in helping them win the first world war. On October 3, 1918, Germany requested a cease-fire. The war ended on the 11th hour of the 11th day of the 11th month, when the warring parties signed the Armistice and agree to stop Fighting. The main weapon used by British soldiers in the trenches was the bolt-action rifle. 15 rounds could be fired in a minute and a person 1,400 metres away could be killed. The German army were the first to use chlorine gas at the battle of Ypres in 1915. Chlorine gas causes a burning sensation in the throat and chest pains. Death is painful - you suffocate! The problem with chlorine gas is that the weather must be right. If the wind is in the wrong direction it could end up killing your own troops rather than the enemy. Mustard gas was the most deadly weapon used. It was fired into the trenches in shells. It is colorless and takes 12 hours to take effect. Effects include: blistering skin, vomiting, sore eyes, internal and external bleeding. Death can take up to 5 weeks. Tanks were used for the first time in the First World War at the Battle of the Somme. They were developed to cope with the conditions on the Western Front. The first tank was called 'Little Willie' and needed a crew of 3. Its maximum speed was 3mph and it could not cross trenches. Most of the action took place in the trenches. They were dug deep into the ground in a zigzag pattern to protect soldiers from advancing enemies. Soldiers spent an average period of eight days in the trench, where they were constantly under threat of attack from shellfire, snipers and diseases. Soldiers experienced everything from Trench Fever (a painful infection caused by lice poop) to Trench Foot, which caused a fungal foot infection that could result in amputation! American participation didn't happen until the last year of the World War.